Dr. Trevor Holly Cates received her naturopathic medical degree from the National College of Natural Medicine in 2000 and Environmental Medicine training from the Southwest College of Naturopathic Medicine. 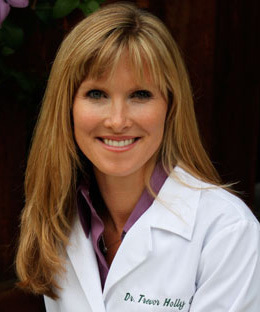 Licensed as a naturopathic physician in both California and Utah, Dr. Cates practices in Santa Barbara, California and Park City, Utah where she is the Naturopathic Physician and Nutrition & Wellness Coordinator at the Golden Door Spa, Waldorf Astoria Park City. In addition to integrative medicine private practice, Dr. Cates was an eco-consultant and has been on the Fine Living Channel as an expert to "green" a baby nursery. She was twice appointed by Governor Arnold Schwarzenegger to California’s Bureau of Naturopathic Medicine Advisory Council and serves on the American Association of Naturopathic Physicians board of directors. She is a frequent lecturer and writes articles on natural medicine for various local and national publications. Dr. Cates lives with her husband and three children in Park City, Utah.